So Shingleman and I went to one of his sisters for Easter dinner. We were on the way back and passed the Evergreen Dairy Bar. Back in the day, it was called the Polar Cub. How I know this is my parents used to take us, once in a while, to Long Beach Island or Barnaget Light. 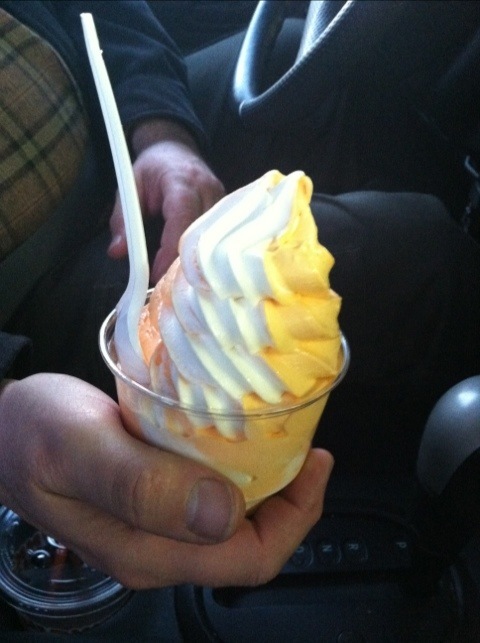 Dad used to get a soft serve cone of lime sherbet twirled with vanilla ice cream and Mom’s was orange sherbet twirled with vanilla. Thanks, Shingleman, for stopping here, and Mom? This ones for you !!! !